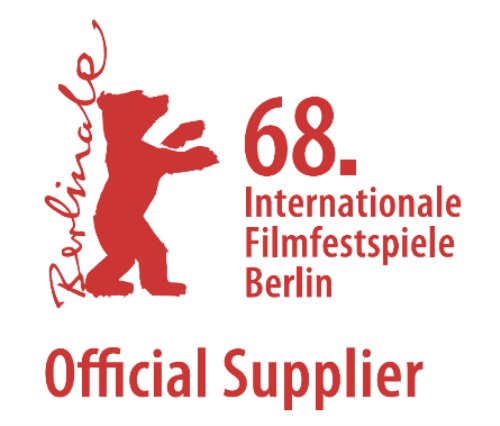 Harkness Screens, the world leader in screen technology and manufacturer of premium cinema screens, has been confirmed as an Official Supplier to the 68th Berlin International Film Festival (Berlinale) due to take place between 15th and 25th February 2018. The Berlin International Film Festival (Berlinale) was founded in 1951. Today, the festival is not only the biggest audience film festival in the world and one of the most important dates on the international film industry‘s calendar but a can‘t-miss cinema fest for all film lovers. The Berlinale presents the entire spectrum of cinema with its wide variety of Sections and Initiatives, all with their specific profile. This year, Harkness Screens will be an Official Supplier to the festival providing a number of Clarus XC 170 screens incorporating Harkness’ proprietary 4K Digital Perforation and new NanolastTM coating technology throughout venues in Berlin. Designed to present 2D content and to work with all polarized 3D, Clarus XC screens create visibly deeper 3D content which draws in the audience creating a more captivating viewing experience. A whiter look under projection mean that colours look visibly richer and more accurate both in 2D and 3D resulting in a more defined, sharper and crisper picture. Clarus XC screens are also regarded as the screen of choice for polarized laser 3D presentation due to its speckle reduction properties. “We’re delighted to be partnering with colleagues at Berlinale to bring our leading Clarus XC screen technology to audiences at what is widely regarded as one of the most important global film festivals,” explains Richard Mitchell, VP Global Marketing & Commercial Development at Harkness Screens.” Our Clarus XC screens along incorporating our new NanolastTM technology will allow venues across the festival to show 2D content with exceptional uniformity, colours and contrast whilst still allowing 3D content to be shown. We’re confident that our screens will help provide an unforgettable experience for film-makers and audiences alike,” he adds. Whilst improving robustness, NanolastTM technology also enhances the visual performance of screen surfaces by creating an even smoother, whiter and more uniform finish. This improvement creates a more immersive viewing experience by increasing the richness of colours, adding further depth of field to 3D presentations and widening viewing angles.